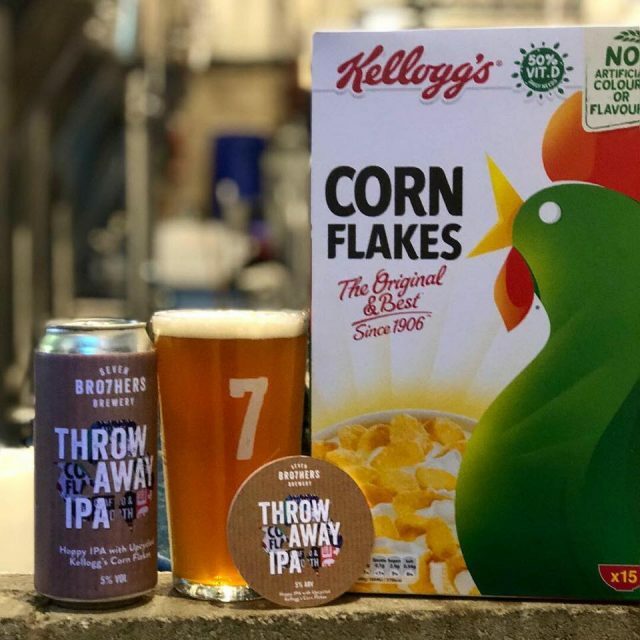 Cereal giant Kellogg’s and Salford-based brewery Seven Bro7hers have teamed up to create a beer made with cornflakes that were either too big, too small or overcooked to make it through quality control. The beer, called Throw Away IPA, will help the cereal manufacturer to cut down on its food waste. Seven Bro7hers, a craft brewery based in Salford, Manchester, swapped out around 30% of the usual mash bill for cornflakes. The brewery used around 60kg of rejected cornflakes for the beer and 10p from each can purchased will be donated to food distribution charity FareShare. 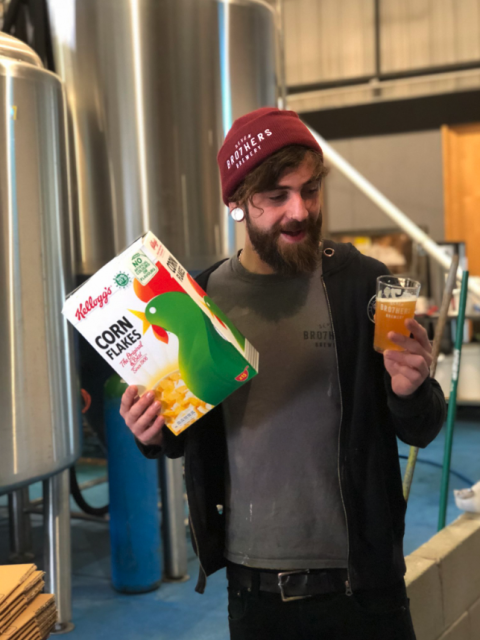 Kellogg’s first approached Seven Bro7hers earlier this year when the brewer teamed up with BrewDog Manchester to make a cornflake milkshake IPA. Kellogg’s has already reduced its food waste by 12.5% this year. Alison Watson, from Seven Bro7hers Brewery in Salford, added: “Seven Bro7ers Brewery is delighted to be working with Kellogg’s on a project which uses edible but not-sellable cereal. “Kellogg recognises that it has an important role to play in reducing food waste, and that includes finding uses for edible food that doesn’t make it into the cereal box. The cereal is perfectly safe to eat but the flakes might be too big, too small or broken so not good enough for our packs. “We plan to create three beers including a hoppy IPA which will be launched this month and sold in our Ancoats bar and the Dockyard, MediaCityUK”. The 5% ABV IPA is available in keg and can formats. London brewery Toast Ale was one of the first breweries to start adding surplus food into the brewing process. The brewer, which has since launched in the US, uses leftover bread to produce its range of beer. Breweries such as Toast have inspired similar projects including a collaboration between Suffolk brewer Adnams and UK retailer Marks & Spencer, the former making three beers using surplus bread from M&S’s sandwich production. Kellogg’s has also launched a brewing project in New Zealand, teaming up with Auckland-based Hallertau to launch a limited-edition Crunchy Nut-inspired beer.